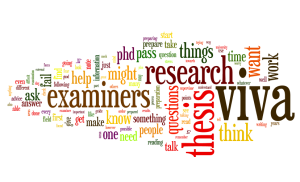 Eagle-eyed visitors to the site might have spotted a new addition to the pages; that’s a link to a description of the Viva Survivor workshop that I’ve been delivering at universities since 2010. I thought it would be useful to make that connection on here – some people know me for the podcast, some people know me for the workshop, now everyone will connect me to both. I love doing Viva Survivor, and I’ve delivered it to almost 2000 PGRs around the UK. For the longest time I’ve wanted to deliver an independent workshop to PGRs. I plan to keep delivering the session in universities for a long time to come, but I’ve been thinking about new challenges for a while. An independent viva prep workshop that was open to PGRs from any university seemed impossible for a long time until I visited Ziferblat, a really great meeting space in Manchester. I want to make this an amazing experience: I want people to leave knowing that they are set for the viva, that they know what to expect and what to do. I’m going to be providing excellent supporting materials, including ebooks, print books, handouts and more, maybe a few surprises to make people smile! And Ziferblat is going to be providing an excellent venue and refreshments for the day. If you want to know more, then get in touch: drop me an email, tweet at me or leave a comment here! I’ll be posting details about the workshop over the coming weeks, announcing things that I’m excited about. If you want to know more now then please contact me.